For several years I worked at an amazing little coffee house, and despite the fact that I had to be up at 4:30am a few times a week, I didn't really mind the lack of sleep. It meant that I had first dibs on the still-warm-from-the-oven, bakery items! My absolute favourite treat was the almond poppy seed bread. If I was lucky, there would be a pool of frosting, poppy seeds, and crumbs that had collected at the bottom of the delivery box. As soon as the loaf had been removed and sliced, I had a few minutes to enjoy the boxed remnants with a spoon, a fresh cup of "sludge" (my coma-inducing mix of espresso, hot cocoa, and coffee), and an untouched crossword puzzle. I chose almond poppy seed bread as an homage to my days as a weary barista. This bread is incredibly easy to put together, and it's extremely delicious. If, for some odd reason, the word "bread" makes it sound less appealing, please let me assure you that it's actually more of a cake. It's cake's sweet, tiny, brainy, cousin. (I say brainy because poppy seeds seem to be the bookish sort.) At least they seemed to help me fill out many crossword puzzle clues...without the safety net of a pencil. Preheat the oven to 350F. Lightly butter or spray two 9x5-inch loaf pans. In a separate large bowl, combine the oils, eggs, milk, and extracts. Whisk until well combined. Make a well in the center of the dry ingredients, and pour the wet mixture into the well. Use a large rubber spatula to stir all the ingredients together. As soon as the pans have been removed from the oven, prepare the glaze. Glaze: In a large bowl, whisk together the confectioners' sugar and both juices until smooth and runny. If the glaze appears too watery, add more sugar. If it's too thick, add a splash more juice (or water). A little bit if liquid goes a long way, so don't add too much all at once. Invert the pans and remove the still-warm loaves (you may need to shake them a bit). Place the loaves, right side up, onto serving plates and drizzle each one with the glaze. My sister says I'm like a granny but I LOVE poppy seed. It reminds me of my childhood and I was so in love with it I almost named my Emma, Poppy. This sounds glorious and today is the perfect day for baking. Yes! A lovely bread! Poppy seeds are awesome and so is that citrusy frosting. 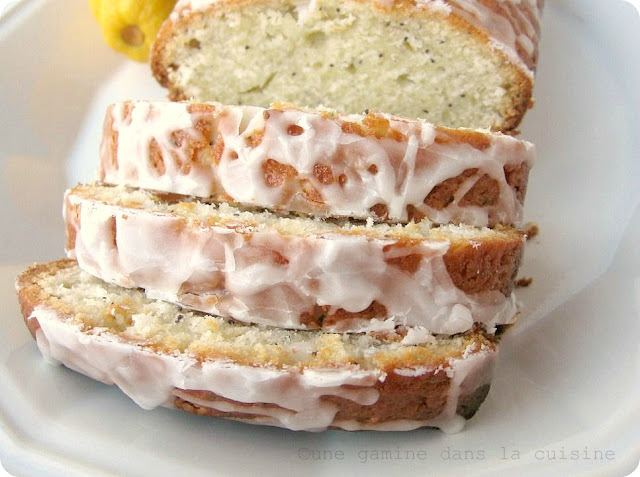 I love this bread/cake for a nice treat at breakfast, lunch and dinner! Sounds like a recipe that I can easily throw together this weekend. Thanks!! Poppy seeds always make things look so delicate and yummy. Great job. Oh my! It looks fantastic!!! I love the bread and the glaze looks so yummy. I'm very hungry now!!! What a beautiful quick bread! You're so creative, and this looks like a gorgeous mix of flavors. I'd enjoy a slice of this with a crossword too! This looks terrific. I've never made a glaze for a loaf, but I think this would be a good time to try it. Also, I love lemons and almonds so I'm pretty happy about this recipe. Thanks for sharing! I'd forgo sleep for a slice or two of that! I've got the coffee made, now I just need a slice of your cake/bread. It looks just fabulous. Your loaf looks beautiful! I love almond poppyseed bread as well. I need to try this quick bread next. I went with a banana bread myself. Great job with this month's challenge! 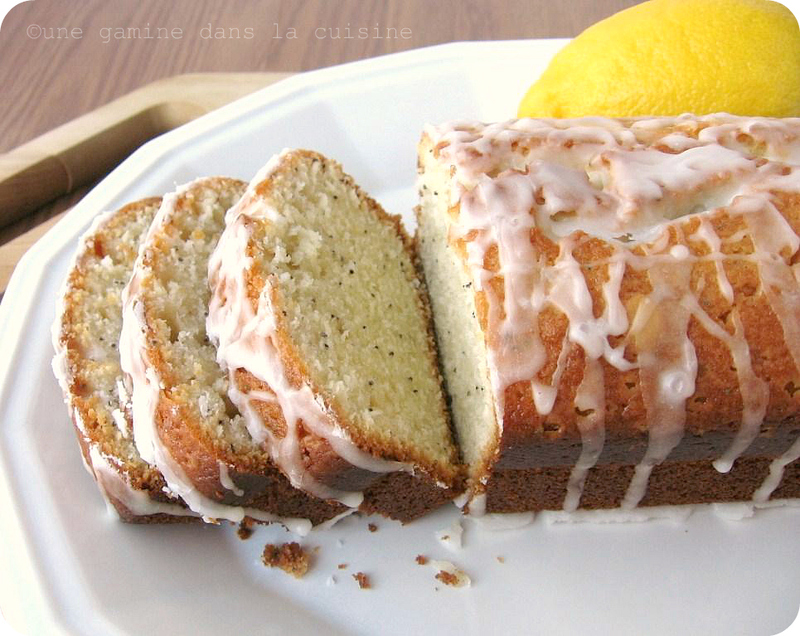 I've only had lemon poppy seed loaf, but it's great to know you can use them with almonds too! This looks amazing, and I'd certainly try to get up early for a slice. P.s. my niece's name is Poppy. Love your recipe, and your photos are so inviting! Fantastic! ok, this one is definitely going on mynto bake list! Looks so good and love the texture! i just love poppy seed breads, and yours looks fabulous! thanks for sharing! i'm adding this to my "to-bake" list - which, by the way, is growing bigger by the minute! this one is going to the top though, as i love almond! and poppyseed, too!!! poppyseeds are oh-so-pretty to photograph! This bread looks so moist and delicious! I think I might whip up a loaf of it to have for breakfast this weekend while my in-laws are staying with us!